The aMemoryJog password manager is an affordable way to securely track all of your passwords and other private information. The basic iPhone edition is free and we offer a free trial of the web edition. 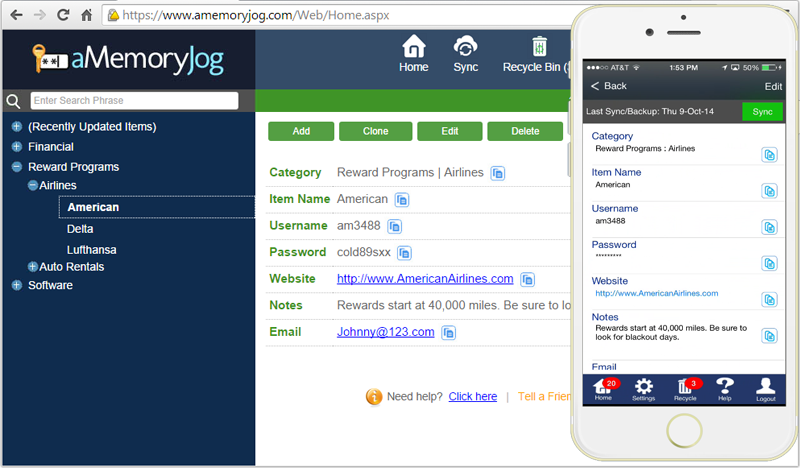 With the web edition, you can access your aMemoryJog from a PC, Mac or Tablet. We offer discounts for subscribing longer than a year. If you sign up for 3 years, we provide a 5% discount and if you sign up for 5 years, we offer a 10% discount.